Save 10% with this bundle and never be without the correct certificate. Includes an Acknowledgment and Jurat certificate pad. The purpose of an Acknowledgment is for a signer, whose identity has been verified, to declare to a Notary or notarial officer that he or she willingly signed the document. 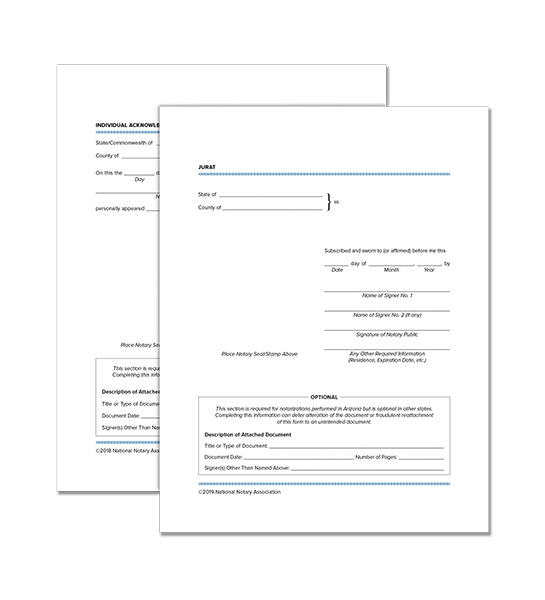 If no other format is prescribed, a Jurat form may be used when an individual is signing and swearing (or affirming) that certain written statements are true. Each pad includes helpful how-to instructions and 100 certificates in a convenient tear-off form.